Public sector organisations need to be just as innovative as the commercial sector when developing products and services. The commercial sector invests a lot of time and resource into research and development of new products for a consumer market. The task for public sector organisations is to find innovative ways to use limited resources in the most efficient and effective way. ‘Frugal innovation’ is a concept that can be understood as doing more (delivering economic and social value) with less (resources). It is crucial to understand that frugal innovation does not mean second rate. The concept is more about considering options to achieve more with less, and GGI offers the learning and cultural re-direction needed for leaders to find the necessary efficiencies within their own organisations. There is valuable merit in engaging with frugal innovation in relation to developing governance to meet organisational needs and to achieve strategic goals. Unnecessary or unfocused change, however well-intentioned, poses clear risks to any organisation, whether in terms of loss of momentum in delivering core strategy or adverse staff morale and turnover. ‘Transformation’ is a concept at risk of overuse, particularly within the public sector. Nevertheless, targeted transformation is crucial to securing sustainable and high quality services. Our approach to transformation programmes is to include elements which deliver traction and engagement from teams and partners throughout an organisation, both in developing revised structures and systems, but also in gaining authentic ‘buy-in’ to the implementation of such developments. We avoid formulaic structures, instead adopting a truly tailored approach in collaboration with our client partners. 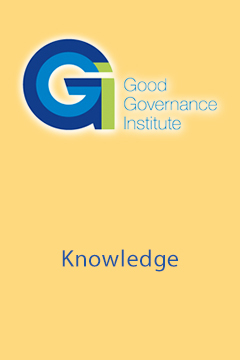 GGI is always conscious to ensure that governance improves as a result of transformation programmes, providing assurance to boards that what has been done is being done well and is clearly aligned to delivering the strategic objectives of the business. Organisations (eg Marks & Spencer, Rio Tinto, Crown Estates) are increasingly using Integrated Reporting to demonstrate to stakeholders, in a clear and concise manner, how all aspects of the business are adding value. This includes understanding how any given measurement or piece of information is related to the pursuit of achieving organisational strategic investments. IR has been described as a “global evolution in corporate reporting” and should be considered by all organisations (public or private) as a means to improve the management and analysis of information. GGI provides expert learning sessions on how IR techniques can be implemented at board level working through detailed case studies. As an institute, GGI are committed to the development and promotion of improvement and diagnostic tools and resources for utilisation across different sectors. 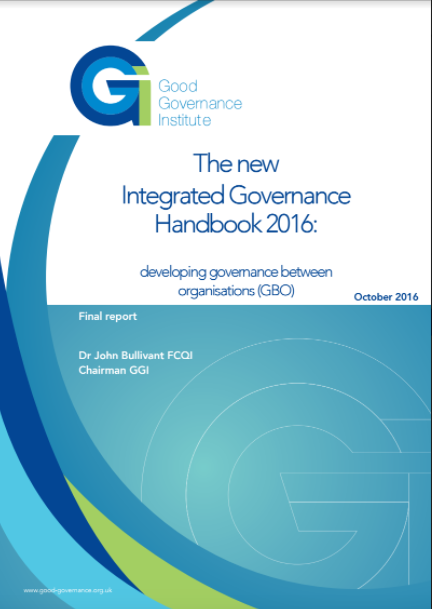 With best practice matrices covering health, education, federations and collaborative working, GGI’s matrices can help any organisation both review and develop their internal governance. These tools can also be used to benchmark for internal performance measuring purposes. 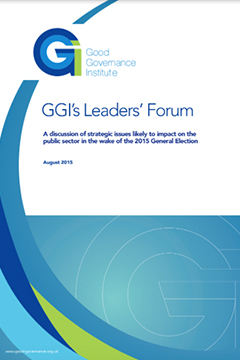 GGI also frequently publish reports and research into key topics that are effecting the organisations we work with. 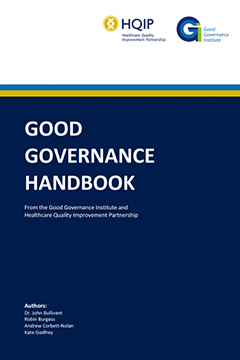 Whether this is the “Future of the NHS”, “Third Sector: Value Driven, Transparently Managed” or “Mapping the Nursing Journey”, GGI can support any organisation in both writing and promoting topical reports: we can support any and all sectors sharing and receiving recognition for knowledge.